Have you ever experienced dilemma? Have you ever taken a decision about future about which you don’t know anything based on the data of the past? Have you ever been guided by someone who has no idea about the future yet he/she is forcing you to take a decision about future? Have you ever faced a situation when you have to make a choice without actually knowing different options available to you? 1. 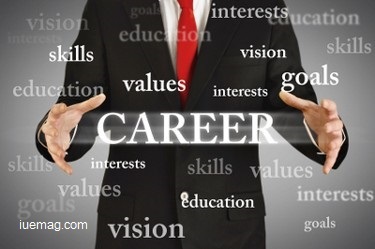 Interest, Aptitude and Skills: - A good course is one, where you can have tremendous interest. If you like reading books of psychology and you can read those books for hours tirelessly, go for psychology as your course. You will be able to build required aptitude and skills to excel. We all are malleable and therefore whatever course we will opt, will actually convert us and change us into a different being from our present. 2. Immerse into learning culture: - don’t take admission in an institute just because a lot of students are taking admission in that institute. You must see that the institute creates a learning environment, which can enable you to bring the best out of you and which can enable you to express yourself. Most of the students till graduation are not able to explore and express their own capabilities. They need occasions to un-cover their hidden potential. They can either rise beyond their own imagination or fall or spoil themselves. The teenagers are most susceptible to fall in terms of character, hard work and goals of life. They need a learning culture and close attention so that they may be able to move in the right direction. 3. Extrapolate the problems of tomorrow: - the education of today must enable you to solve the problems of tomorrow. The problems of tomorrow will be different from the problems of today. It will not help you to take up a specific application oriented course (because with the changing technology, the course will not have any relevance tomorrow). However, building fundamental skills and capabilities will always help you in preparing for the challenges of life and will enable you to handle any problem of any challenge in the future. A good education is one, which prepares your general capabilities and lays down fundamental skills, aptitude, knowledge and positive framework towards life so that you can take up challenging assignments in the future and solve any problem that comes your way. 4. Fundamental skills that will always help: - remember that a good educational institute will build your fundamental skills and attitude that will always help you. These fundamental skills are such, which have always helped people in their success and these skills will always be required in the future also. Some of these fundamental skills are: 1. Creativity and innovation 2. Leadership and motivation 3. Team building skills 4. Emotional management and self-control 5. Decision making and crisis handling 6. Analytical ability (including mathematical calculations) 7. Initiative and risk taking 8. Encouraging Diversity and Flexibility 9. Communication and presentation skills 10. Entrepreneurship and ability to manage the situation. Whatever you study, you should build these fundamental skills for your success. 5. Beyond Degrees – Focus on Capabilities: - the students generally think that their goal is to acquire a degree. They believe that a degree itself will bring success. This is not the fact. It’s not the degree but the associated capabilities that enable a person to succeed. A person will succeed only if the required capabilities are acquired and executed. The individual must pursue those courses, which can deliver the required capabilities. 6. Search for Mentors: - everyone needs a mentor. A mentor is a senior person who can discuss and guide about the future and enable a person to take the right decision. Search for a mentor, who has the desire to help you. Spend some time with your mentor and enable the mentor to ponder over your situation, your aspirations and your capabilities. 7. Prepare for a Challenge: - life is meaningful for those who pursue some challenge. It’s a challenge that can enable a person to experience learning, growth and motivation. A challenge is something which will enable a person to transform. Every education is a preparation for a challenge. When you are doing a course in engineering, you are mentally preparing yourself to become a scientist/technologist. If you are doing a course in medicine, you are mentally preparing yourself for the challenge of serving those who are facing health related problems. 8. Become what Society Needs: - you education should enable you to serve the society. Don’t pick up a course as a decorative symbol. Pick up a course to serve the society. Ideally, you should start serving the society from the day one of the course so that by the time you graduate, you are able to serve the society. You may spare some time every week to put your skills for the service of society. 9. Contact Counsellors : - although the students of today’s times have every information on their fingertips (due to internet and mobile revolutions), yet, a counsellor may be able to provide detailed information on emerging sectors, new courses, new opportunities and new institutions. A counsellor is generally an expert in psychology and therefore he/she may be able to guide you further about your aspirations and your dreams. 10. Explore and decide: - it’s easier to take a decision at your home. But ideally, you should visit different institutions, talk to the alumni of the institution, talk to the prospective employers, interact with faculty members and read books in the library of the institute before taking a decision. Involve your family in your decision making process and have thorough discussions. If you find that this institute can give you an engaging experience, take admission in that institute and engage yourself for a transformational journey. Any facts, figures or references stated here are made by the author & don't reflect the endorsement of iU at all times unless otherwise drafted by official staff at iU. This article was first published here on 18th April 2015.